The architects of the Golden Gate constructed its glorious twin (the 25 de Abril Bridge) here back in the 1960s. The spectacular monument Cristo Rei proclaims this port city’s enduring links to Rio, discovered by Lisbon’s seafarers in 1500 and connected to their home town in ways I could never have suspected. For a start, there’s the soft azure light, the narrow, steep streets (both cities are built on hills), the sandy beaches and unpretentious resorts that stretch up the coast. And then there’s the food. 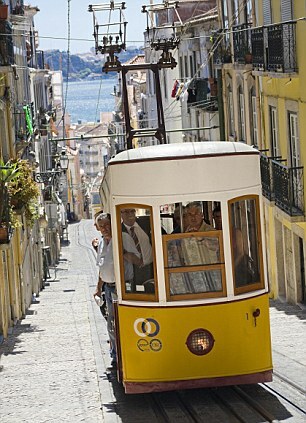 New York restaurateurs pay a king’s ransom to get fish flown in from Portugal. But from June until September, you can feast on roasted sardines here for next to nothing. It’s equally surprising to discover how at home we British feel in Portugal. And so we should. Climb upto the impressive fortress of St George and you’ll hear how English crusaders drove out Moorish invaders (but not their influence on the architecture). John of Gaunt’s archers came to the rescue of the Portuguese again in 1385. The alliance was commemorated by Europe’s oldest surviving treaty before John’s daughter, Philippa, married Portugal’s first king. 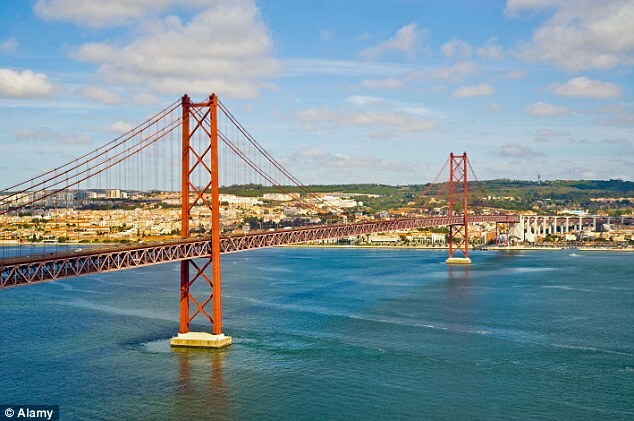 Full of surprises: The architects of the Golden Gate constructed its glorious twin in Lisbon back in the 1960s. And if anything further were needed to seal a friendship that continues to this day, Wellington came to Portugal’s aid with 9,000 troops after Napoleon exiled her royal family for permitting British ships to dock at Lisbon. In the city, we stayed at the lovely and serene As Janelas Verdes (no mini-bars here; only ‘honour bars’ expressing a friendly confidence that well-treated guests will freely elect to pay for wines, coffees, fruits and canapes). This beguiling hotel is famously associated with Portugal’s best-known novelist, Eca de Queiros. Even if you haven’t yet read his romantic tales, you’ll still be charmed by a spellbinding view across the river from the hotel’s rooftop-terrace. 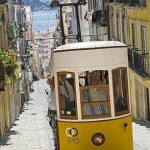 Lisbon was devastated by an earthquake in 1755. A tiny subterranean fragment of the old stone city survives, preserved behind a glass wall in what must be the world’s best-kept public lavatory, just outside the doors of Lisbon’s great hilltop-cathedral. Rebuilt, the city identified its social gradings by house colours: pink for royals; pastel blue for nobles; yellow for carriage-owners; white for workers. Exquisitely decorative tiles cover the exteriors of homes of every kind, and rattling up and down the labyrinthine streets on a wood-panelled tramcar – another link to Rio – we gained a close-up view of their intricate designs. Unfazed by the insistent clang of the trolley bell, gossiping women fluttered their fans under shady mulberry trees, while young couples strolled in and out of the handsome entrances to the city’s leafy parks. Portugal’s neutral role during the last war turned the city into a hotbed of international spies, and a marvellous new museum on the riverside is currently honouring that crucial period in Lisbon’s history. Incidentally, the Aviz Hotel still exhibits a wall of gold watches which cash-strapped foreign aristocrats used as barter for their wartime meals. While the English and Americans favoured the Aviz, the Germans preferred the equally dazzling Avenida Palace, where a secret first-floor passage led undercover agents covertly into Rossio, the railway station across the street. 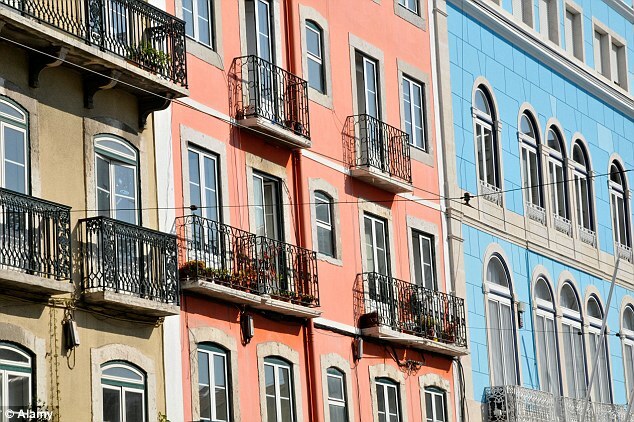 Today, Rossio is where to go to catch a train to Sintra – and Sintra is not to be missed. Getting there and back in a day from Lisbon is easy, but we opted to spend a couple of luxurious nights at its Tivoli Palacio de Seteais, a grand country mansion with stunning views. Byron visited the site in 1809 and proclaimed it ‘the first and most beautiful place in the morning’. At Regaleira, just outside the village, we wandered from pagodas to grottos to enchanted castles in what felt like the secret kingdom of a sorcerer. 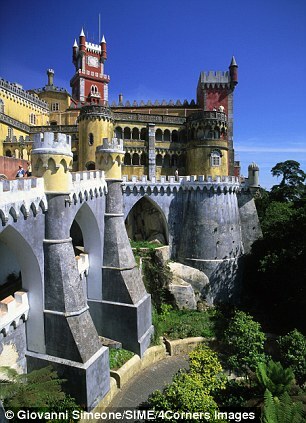 Later, we investigated the Pena Palace, Portugal’s version of Ludwig II’s fantasy home at Neuschwanstein. Charm meets high kitsch in the tricksy painted rooms that nevertheless exude an atmosphere of cosiness and family life. I somehow wasn’t surprised to learn that Queen Victoria’s brood adored paying visits to this castle in the clouds. The battlements offer views out across a breathtaking landscape that, as the morning mist drifts away, reveals a rival palace: Monserrate. This final stop on our tour led us back, once again, to England. The Indianstyled house caught the fancy of William Beckford, a wealthy landowner and Gothic novelist, when he travelled out via Portugal to inspect his West Indian plantations. While a waterfall and a rock folly still pay homage to Beckford’s residence, the Monserrate we visited owes even more to the dedicated extravagance of another Englishman, Sir Francis Cook, whose family continued to live at the palace until crippling taxes drove them out in 1940. While it is enchanting to wander through the arched naves of Cook’s fancy-filled home, to splash your hand in a marble fountain or gaze out across a hillside of landscaped lawn, the real charm of Monserrate lies in its glorious gardens. Thriving in Sintra’s micro-climate, plants and trees have twined themselves into a fantastic jungle of tumbling blossoms, glossy leaves and gnarled trunks. The next day, as we drove towards the airport for the journey home, we longed to be back in peaceful Monserrate, or simply gaze across the Tagus to a city that deserves to be crowned Europe’s most bewitching capital.